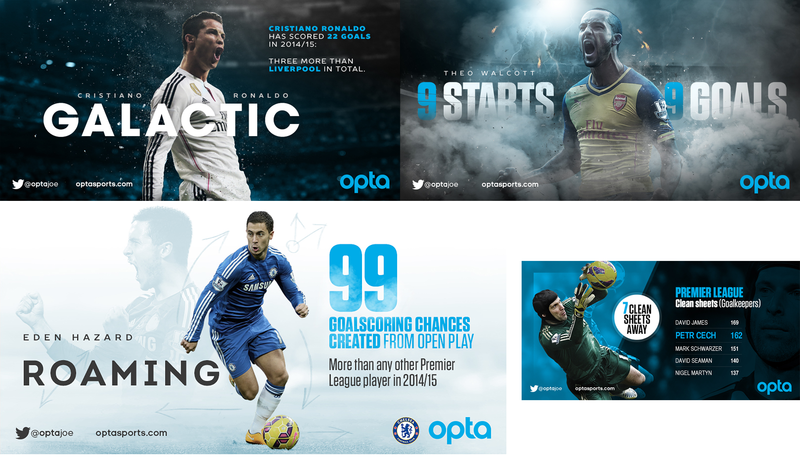 Creative content to accompany Opta's data-based posts across their social channels. 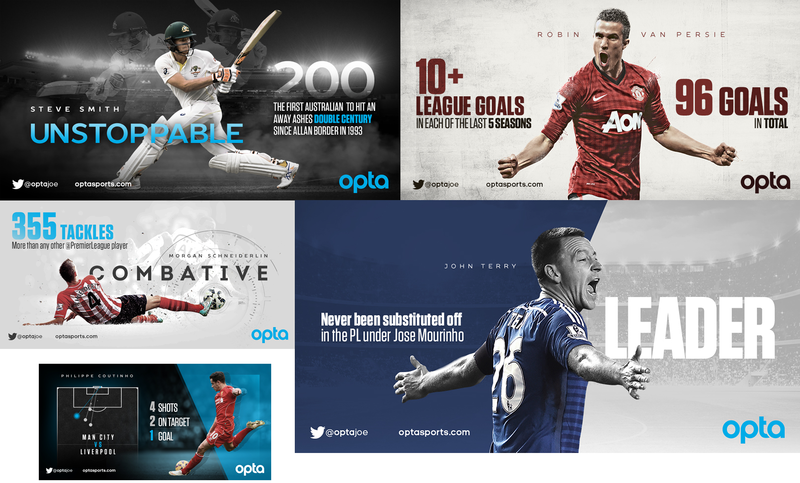 Opta is the world leader in sports data, their performance data powers and informs sports content and we helped to bring that life with evocative and emotive visuals. Helping to celebrate key moments and milestones in a sport, we designed static and motion graphics that celebrated a player's achievement, creating graphics with a cinematic quality that would elevate the data's importance and enhance it's share-ability.